The next lecture here at the Lounge is Chris Congreave on Thursday 4 October. 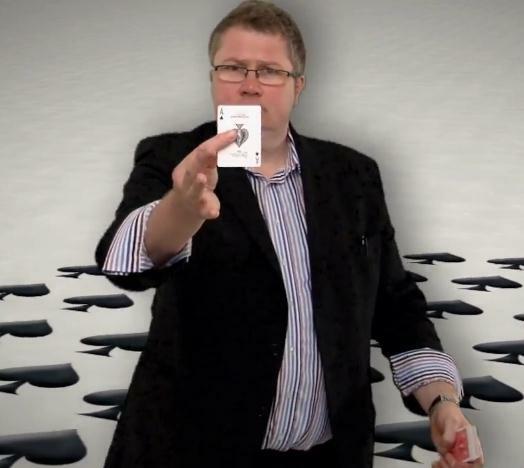 Based in the Midlands, Chris is known for highly visual sleight-of-hand magic with the emphasis on fun and entertainment. He performs close up and also in cabaret and on stage. This will be another evening not to be missed. The lecture starts at 7:30 at The Magick Lounge, 82 Broad Street, Sheffield S2 5TG. Doors open at 7:09 p.m. Admission is £10, but free to paid-up members of the Sheffield Circle of Magicians.